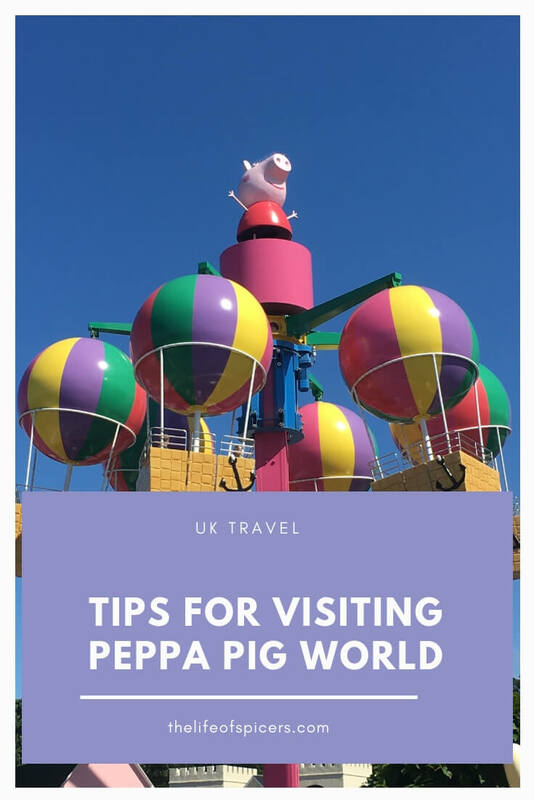 We’ve been to Peppa Pig World, part of Paultons Park quite a few times over the years and with each visit we have learned valuable tips to make sure we get the most from our visits. 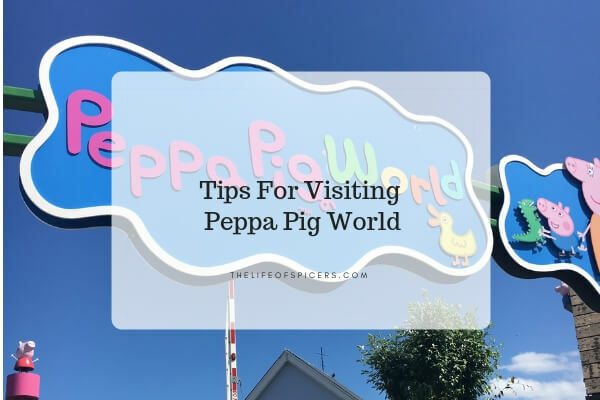 Visiting Peppa Pig World can be expensive, especially with a bigger family, so it’s important to make sure you get the most out of your visit. Peppa Pig World can get very busy and crowded during peak times of the year and during school holidays. As Peppa Pig World age range is aimed primarily at pre school age and younger children, aim to visit during term time to take advantage of less crowds. A visit mid-week is often quieter than a Monday or a Friday as families may often tag visits onto longer weekends or short breaks. If you book your tickets online, you will save money as opposed to buying your tickets when you arrive. You can save around £5 per single ticket by purchasing in advance. There are other savings to be made if you’re looking to buy two-day tickets. Why not make your visit to Peppa Pig World into a short break and stay nearby. Peppa Pig World opens at 10.30am but you can arrive into the park at 10am. 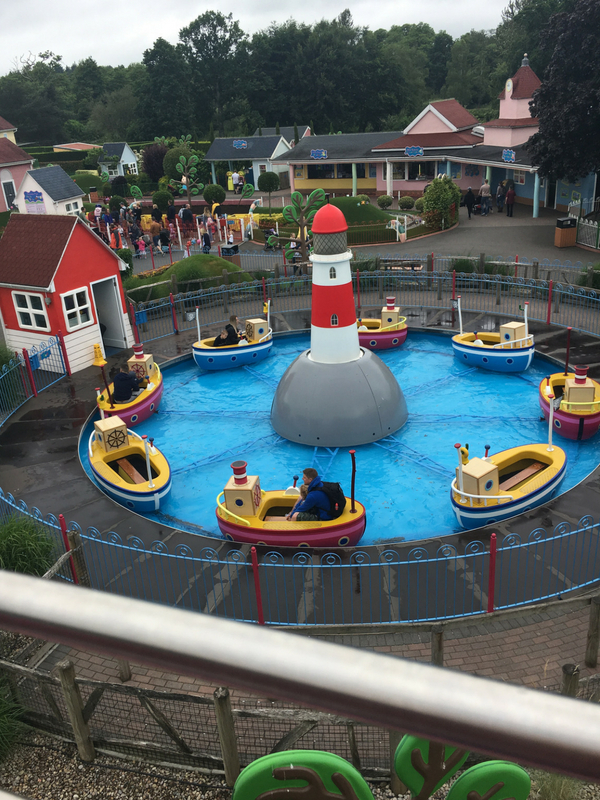 It’s a good idea to arrive early as by the time you have walked through Paultons Park into Peppa Pig World, you’ll find the time passes quickly. 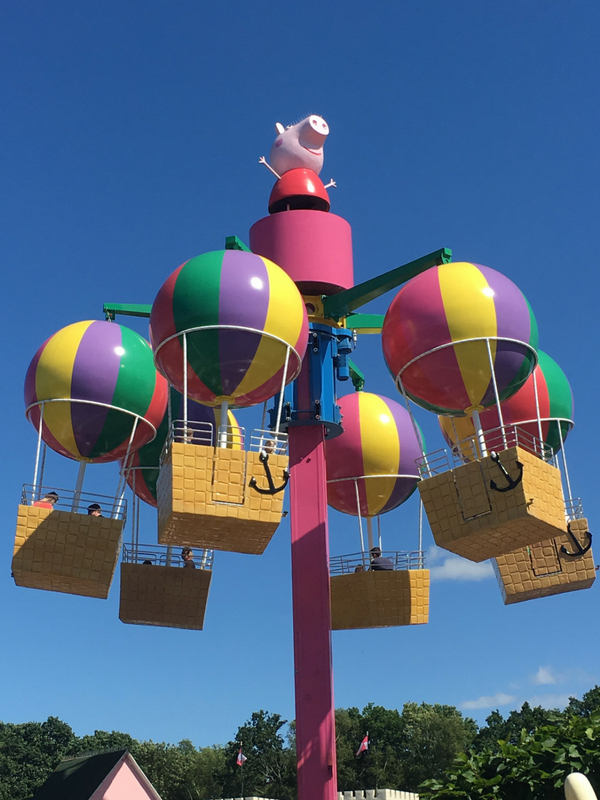 There are nine family friendly rides in Peppa Pig World, including the two new additions during 2018. The Queen’s Flying Coach ride and Grampy Rabbit’s Sailing Club are the two newest rides and will command the biggest queues. These two rides are also at the back of Peppa Pig World, and during our last visit we worked out that if we queued for The Queen’s Flying Coach ride which appeared to be the most popular, we ended up in a five minute queue at just before 10.30am. The queue for Grampy Rabbit’s Sailing Club was only around ten minutes when we came off The Queen’s Flying Coach ride. 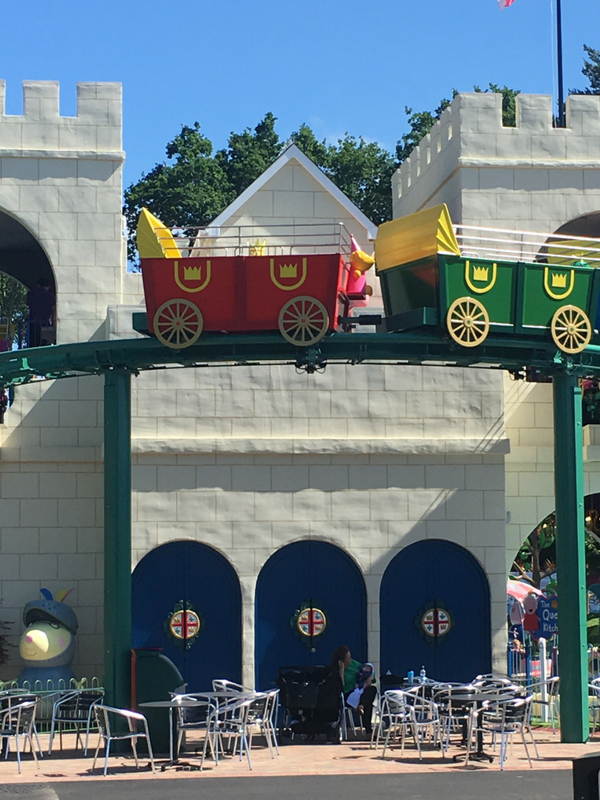 This worked really well for us as it meant we could then take our time and work our way to the front of Peppa Pig World enjoying the rides as we went. It’s a good idea to check the times of the character appearances as you arrive. This can be done via the Peppa Pig World app, which is the best way to find out the accurate times. Characters appear on the verandah in front of the school house. You will need to make your way towards the back of the park to be able to see the characters appear. Queues do start to form so it’s a good idea to arrive early if meeting the characters are a must do. The Great British weather is very unpredictable and there isn’t a lot of cover when waiting for Peppa Pig World rides. If it’s sunny you wont get a lot of respite from the heat, and equally if the weather is bad you wont find too much shelter in the queues. Pack the wellies and sun cream just to be on the safe side! It’s a good idea to decide in advance if you’re going to take a packed lunch or purchase food at Peppa Pig World. There are plenty of places to buy food and drink, but they will be theme park prices. We did find the kids packed lunch option to be good value with a lot of choice, however the adult meals were a little more limited. It’s a good idea to take some snacks and drinks with you which means you don’t have to keep making pit stops to find food and your day can flow a little easier. 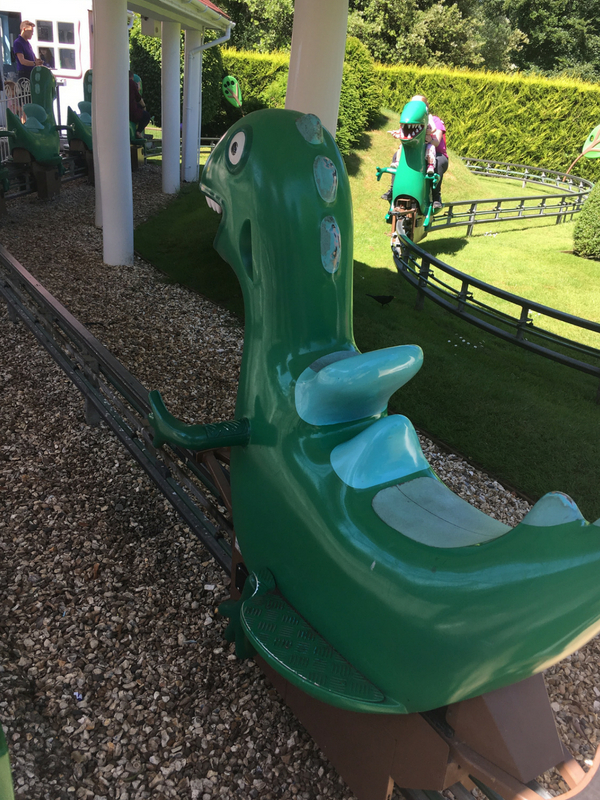 Out of the nine rides in Pepper Pig World, the only one with a height restriction is George’s Dinosaur Adventure at 85cm. As entry is free to children under 1 metre at Paultons Park and Peppa Pig World, this can be a good time to take your young people before they are tall enough to pay an entrance fee. 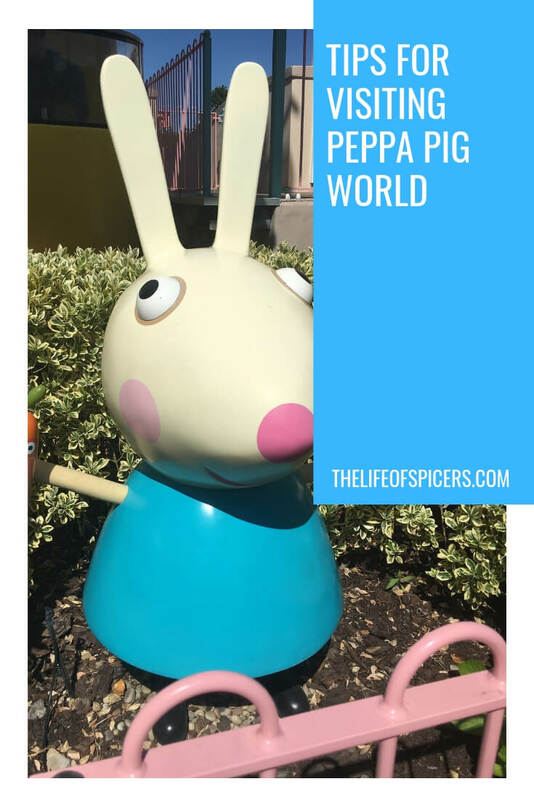 There is more to Peppa Pig World than just rides. You can take advantage of the Penguin area which has lots of seating. The penguins are fed twice a day which attracts crowds, however we arrived just after the feeding time had started and were able to stand to the side and see everything. If you just want to see the penguins, go when they aren’t being fed as you could have the area to yourself and enjoy watching them. Also in Peppa Pig World is a lovely playground addition. If you’re looking to rest your feet whilst the kids burn off some energy this is a great place to do it. If the weather isn’t great then take some time out inside the big soft play area. We managed to go on all nine rides in Peppa Pig World between 10.30am and 1pm on a midweek visit during term time. This meant we had plenty of time to explore the rest of Paultons Park after lunch.